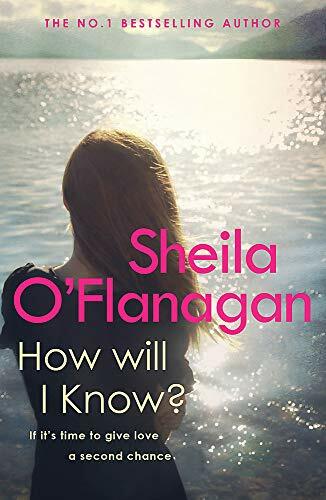 Sheila O'Flanagan's bestselling HOW WILL I KNOW? is a heart-wrenching and life-affirming read that should not be missed by readers of Marian Keyes and Freya North. It was love at first sight for Claire and Bill Hudson. They met at Claire's fifth birthday party and they were destined to be together for the rest of their lives. When baby Georgia came along, it was the icing on the cake. So when a tragic accident snatched Bill away, Claire felt like she'd lost everything - except Georgia. How do you know when you've found The One? A daughter asks her mother, with unexpected consequences, in this heart-warming novel from the author of ISOBEL'S WEDDING and DREAMING OF A STRANGER. 7. How Will I Know? 8. How Will I Know? 10. How Will I Know?